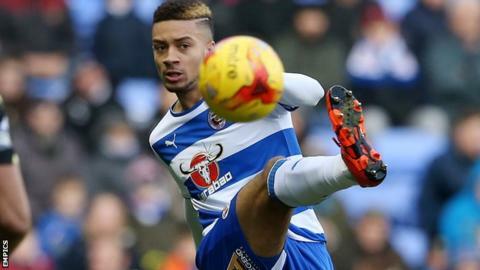 Reading manager Steve Clarke says he has had "no contact" from Chelsea over a possible recall for on-loan defender Michael Hector in January. Newspaper speculation linked Jamaica international Hector, 23, with a new year return to Stamford Bridge. The centre-back moved to Chelsea for £4m on transfer deadline day and moved back to Reading on season-long loan. "Chelsea haven't been in touch with me and they haven't been in touch with the club either," Clarke said. "There's a recall clause in most season-long loan deals, a period of about a week in January when parent clubs can activate that. "But I've had no indication that Chelsea want him back then." Clarke hopes Hector, who is one of six loanees in the Championship club's squad, will stay with the club he first joined as a schoolboy until the end of the season. "I think it would be beneficial for him to finish the season with us," he added. "Then he can make decisions on his career." Clarke confirmed no more players would be brought in before the loan window closes on Thursday, but hinted a couple of youngsters may head out to other clubs.